Matt and I went for a drink last night at our neighborhood Irish bar. 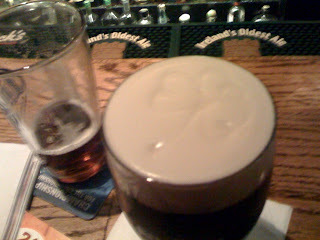 The talented Irish bartender drew a shamrock in each pint of Guinness he poured. It's hard to see but it is there in the foam. I was very impressed.